It’s been days since we learned of Ryan Braun’s exoneration in perhaps the biggest controversy since MLB and MLPBA instituted the current drug-testing policy. Yet there are still lingering problems, with both sides. The media didn’t waste any time disclosing the names of the collector of Braun’s urine sample and his son, and word is that MLB has assigned a security detail for their protection. My hope is that with this post, we can step away from the frenzy and approach this rationally. Why did Braun attempt to create an inference of tampering in his press conference? Why he didn’t bring it in, I don’t know. On the day that he did finally bring it in, FedEx opened at 7:30. Why didn’t he bring it in until 1:30? I can’t answer that question. Why was there zero documentation? What could have possibly happened to it during that 44-hour period? There were a lot of things that we learned about the collector, about the collection process, about the way that the entire thing worked that made us very concerned and very suspicious about what could have actually happened. The inference Braun would have us draw is that the collector (or, perhaps, his son) had something to do with the positive drug test. But why would Braun suggest this? MLB has said that, at the hearing, neither Braun nor MLBPA contended that the sample had been tampered with. The Montreal lab did not find any evidence of tampering, and, from Tom Haudricourt’s description of the process, tampering would be extraordinarily difficult to pull off, despite Braun’s statement during his news conference that “it would be extremely easy” for a motivated person. And if reports are true that Braun was able to describe, with repeatable results, precisely how a 44-hour delay in transporting the sample could lead to an inaccurate test, then we have a scientific explanation and there is no need to allege malfeasance on the part of the collector. And what motive might the collector have had? What evidence Braun has against the collector, he declined to reveal. Braun was up front in stating he could not answer those questions, as he is contemplating all his legal options. According to a former Anti-Doping Agency official, a 44-hour delay could not have produced the positive result found in Braun’s sample. If true, that would explain Braun’s tampering charge, but not how he won his appeal. If he produced no evidence of tampering, and there is no scientific explanation for the positive result, how in the world was Braun exonerated? What does the MLB have to gain by challenging the result of the arbitration hearing? 9 U.S.C. § 10(a). It isn’t enough to show that the panel committed error, or even serious error. And let’s be clear; the dispute here is about the interpretation of the Joint Drug Agreement. The arbitrator appears to have simply accepted the player’s interpretation over MLB’s. In short, the MLB isn’t likely to succeed in federal litigation if it chooses to go that route, though its ultimate decision on the matter will have to wait until the arbitration panel issues its written opinion (due 30 days from the date of the award). Indeed, by contemplating the litigation route, MLB appears by its actions to disregard the very process it now seeks to uphold. On the one hand, the Commissioner’s Office wants to make its drug policy look airtight and infallible. This is the message it seeks to broadcast with press releases stating, for example, that it “vehemently disagrees” with the panel’s decision. Yet, on the other hand, a decision to litigate means that the process does not work; that it did not produce a just result in this case. By litigating, MLB in fact concedes the system is flawed, and undermines its work to clean baseball up. Why do some still view Braun as guilty? This is a much tougher question, as it goes to philosophical debates this country has been having for centuries. As one New York Met observed following the news of Braun’s exoneration, many (most?) still regard O.J. Simpson as guilty of killing his ex-wife, even though he was found innocent in a criminal trial. The perception of many – that Braun skated on a technicality – is not likely to go away soon. This is because many view Braun as not having challenged the science of his test. In other words, the perception is that Braun has failed to explain why his sample was tainted in the first place. Bob Wolfey reports that in unscientific polls, a majority of the nation felt that Braun’s legacy is still tarnished, although most aren’t sure whether he actually used PEDs. This perception – that Braun has failed to prove his innocence – is inaccurate. Again, Braun was apparently able to show how a sample sitting for 44 hours could become tainted. But more than that, the perception is wrong because chain-of-custody (which many view as the “technicality”) IS a part of the scientific process. We need to make sure that the sample was “pure” (as in untainted by outside influences), just as it was when it left Braun’s body. The only way to demonstrate that is by ensuring that we know, at all times, where the sample is, what condition it is in, and who had access to it. While it is correct that Braun did not prove that he never took performance enhancers, what we do know is that the process that yielded the positive result were so flawed that the panel’s confidence in the validity of the result was undermined. In other words, the positive result was untrustworthy. With that in mind, Braun has no obligation to prove that he never took PEDs, a likely impossible task anyway given the difficulty of proving a negative. What he does have is an obligation, consistent with the Joint Drug Agreement, to ensure that nothing prohibited enters his body in the future. What can MLB do to ensure this never happens again? MLB and the MLBPA have an obligation to annually review the program and develop recommendations for improvement. You can bet that’ll be an interesting meeting next year. I suspect future changes will obligate the collector, before temporarily storing the samples, to verify that there are no open FedEx locations within a X-mile radius of the collection site. In the event that a collector must store the samples because FedEx is closed, language will probably be added requiring the collector to mail the samples at beginning of the next business day. While these changes might be tough for MLB to swallow – after all, failure to comply would mean more invalidated tests – it appears that spelling out the collector’s obligations up front is the only way to prevent future cases like Braun’s. Presumably, the collection agency would then instruct its employees precisely what is expected of them. Not that I expect there to be many of these cases; if you’re in the business, and you haven’t learned anything from the Braun affair, you should probably find another line of work. This entry was posted in News and tagged JDA, Joint Drug Agreement, Joint Drug Prevention and Treatment Program, PEDs, Ryan Braun, steroids. Bookmark the permalink. 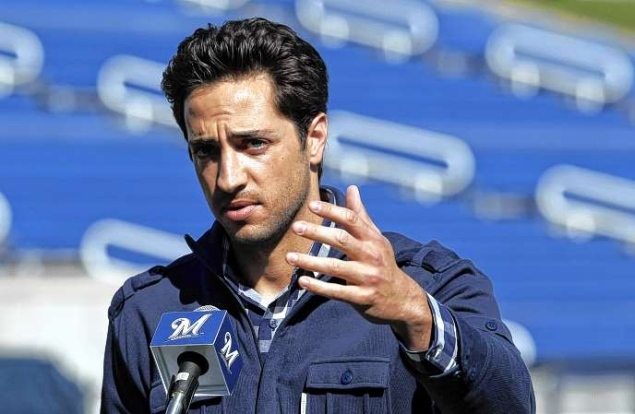 What Can We Learn From The Ryan Braun Case?